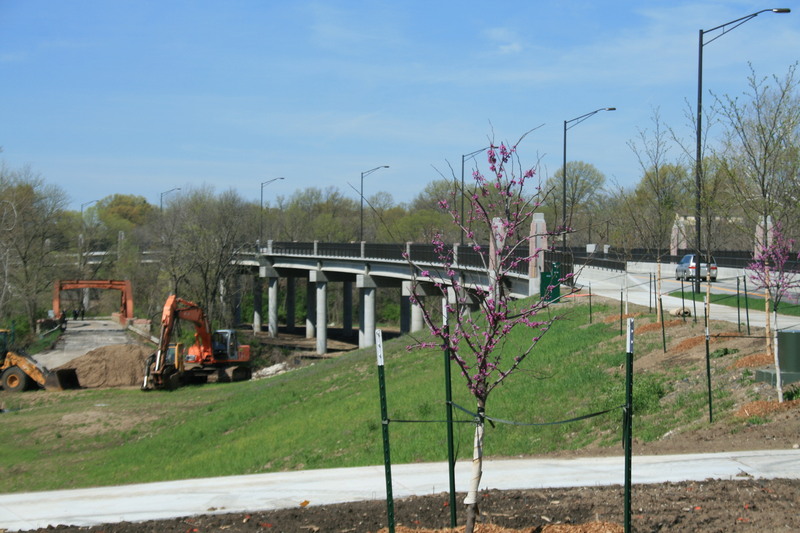 Ten decorative panels are installed on the new Red Bridge which opened in November of 2011. 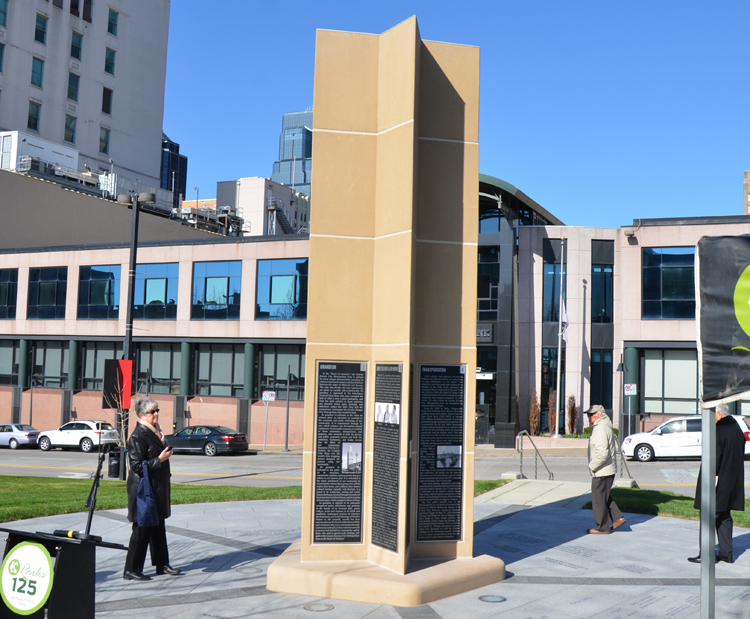 Each panel represents an individual who has ties to the area as part of the Three Trails Crossing during the westward expansion of the 1800s. The area around Red Bride is historically significant as the crossing at the Blue River was the only location where the Santa Fe, California, and Oregon Trail intersected. 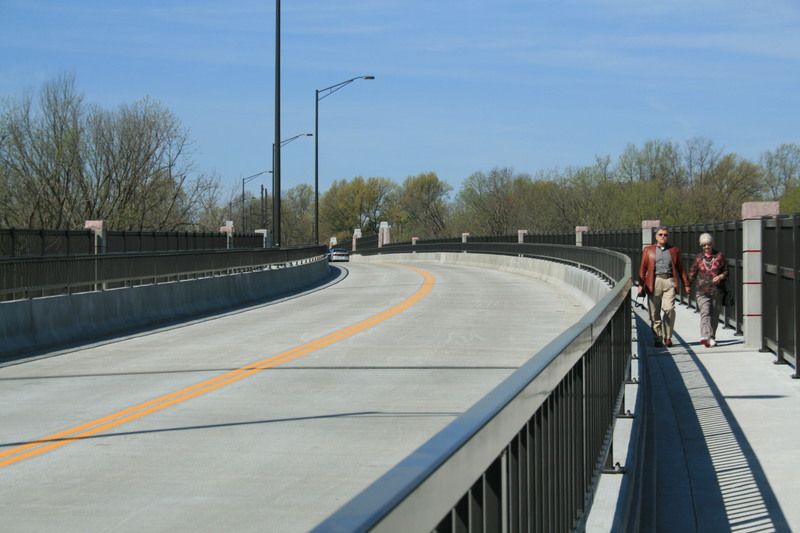 From approximately 1821 to 1880 it is estimated that thousands of travelers crossed the Blue River near the current bridge. Evidence of this crossing can be found with the ruts from the wagons left in what is now Minor Park. Alexander Doniphan (1808-1887) negotiated the 1837 Platte Purchase, which increased the size of Missouri. 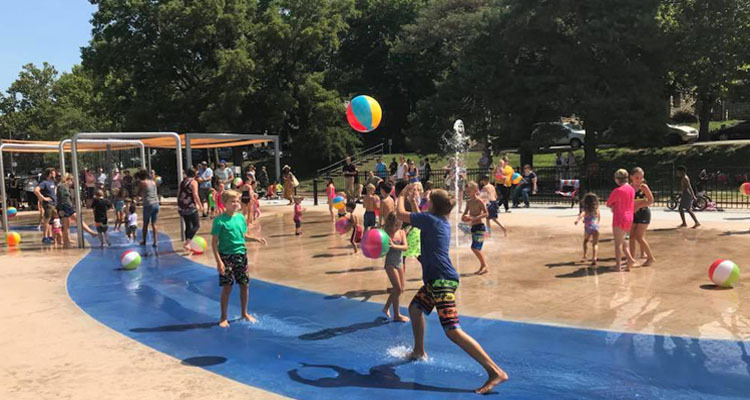 It included the acquisition of St. Joseph, an important waterfront town and a point of departure for the Oregon and California Trails. 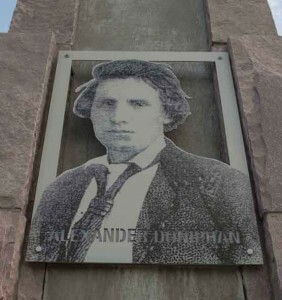 As a general in the state militia, Doniphan refused to execute Joseph Smith, Jr., the founder of the Church of Jesus Christ of Latter Day Saints. He led an expedition during the Mexican War. He was a founder of William Jewell College and was elected to the Missouri General Assembly in 1836, 1840, and 1854. He died in 1887 and is buried in Fairview Cemetery near Liberty in Clay County. Susan Magoffin (1827-1855) was one of the first European American women to travel the Santa Fe Trail, a two-way trading route with Mexico. 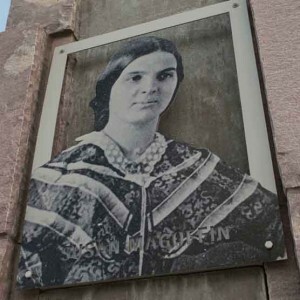 She recorded her journey in Down the Santa Fe Trail and into Mexico, a diary that was first published in 1926. 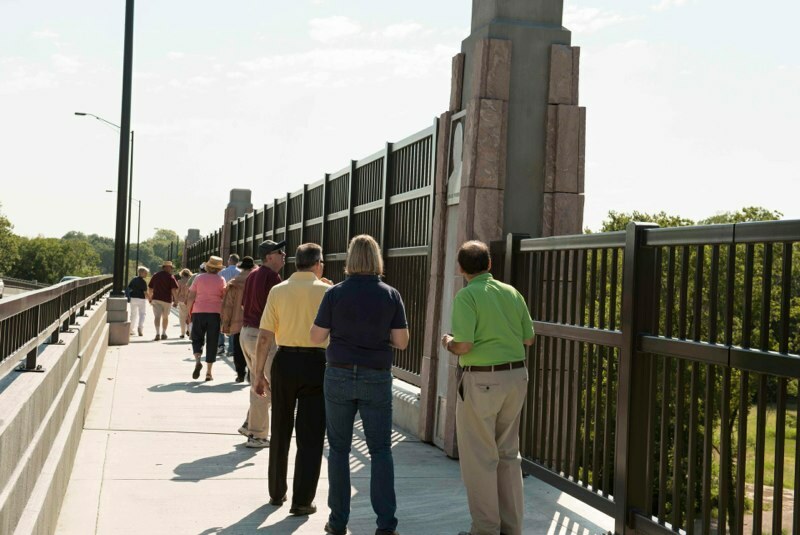 At age 18, she and her newlywed husband Samuel Magoffin traveled from Independence, crossing this very spot in 1846 at the beginning of the Mexican War. She returned to Missouri in 1852 with yellow fever, died in 1855, and is buried in Bellefontaine Cemetery in St. Louis, MO. John Calvin McCoy (1811-1889), an enterprising young surveyor, built a two-story log trading post in the hills four miles south of the Missouri River in 1833. Later known as Westport, it became a trading and outfitting center for traders, fur trappers, Indians, and emigrants heading west on the Santa Fe, Oregon, and California trails. 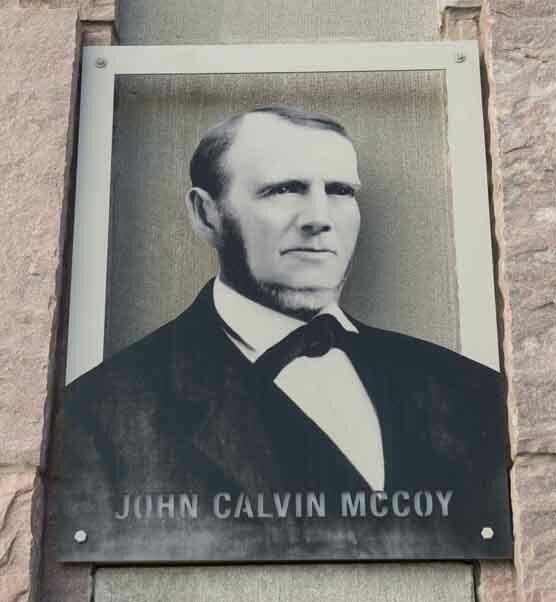 One year later McCoy established Westport Landing, which by the 1840s became the favored riverboat landing from which to embark on the trails. 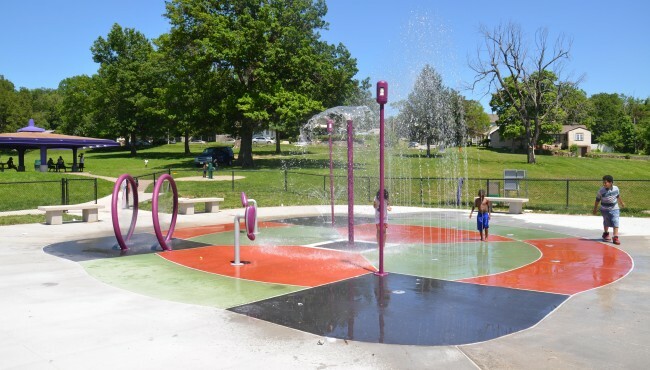 McCoy, William Chick, William Sublette, and eleven other Jackson County residents established the Town Company at Westport Landing in 1838. 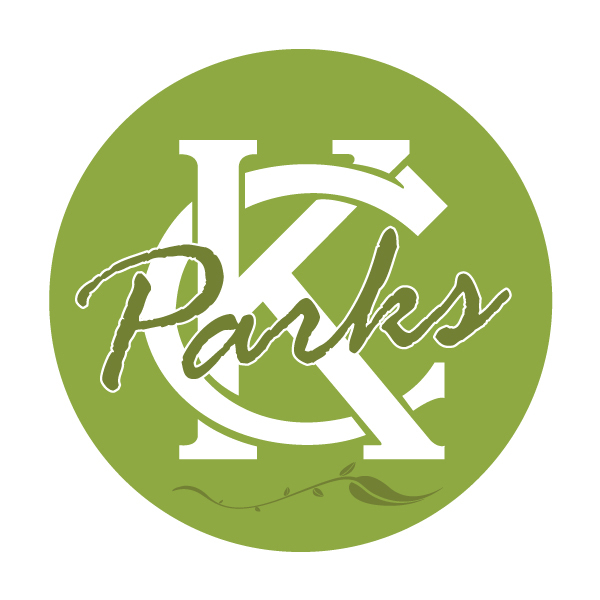 McCoy platted it and the company agreed to call it Kansas, which later became the modern metropolis of Kansas City. He died in 1889 and is buried in Union Cemetery. 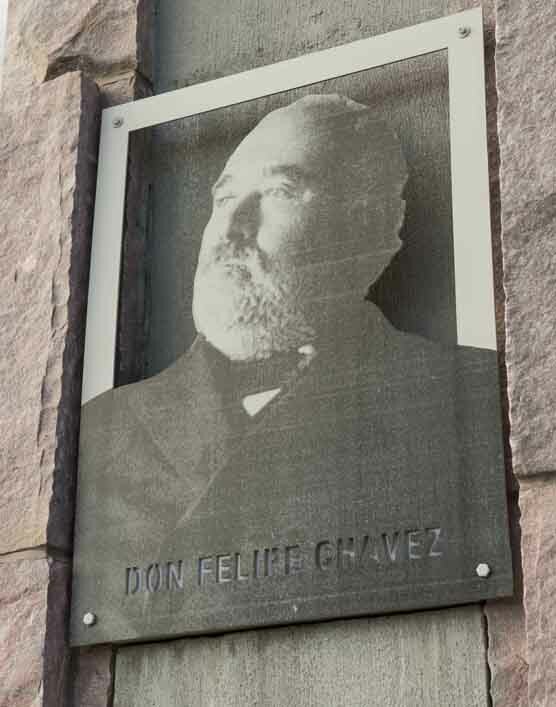 Felipe Chavez (1834-1906) was a skillful and ambitious merchant and trader from Santa Fe, New Mexico. 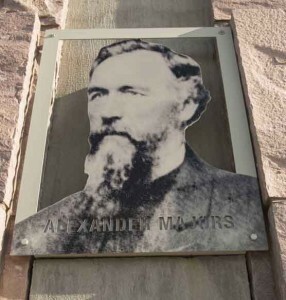 Born in 1834, he took over his family’s business operations in 1856, and soon built a thriving and influential operation. 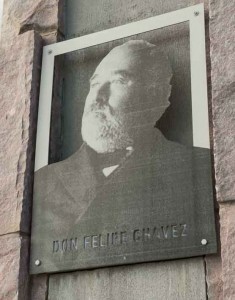 Hispanic traders, such as Chavez, were pivotal in the success of the Santa Fe Trail. Functioning as a commodity broker, banker, investor, wholesaler and retailer, Chavez traded throughout America and Europe, with most of his purchases and shipments going up and down the Santa Fe Trail. Known as a meticulous recordkeeper, and yet a savvy and aggressive investor, he was also recognized as a generous businessman who extended credit to many. 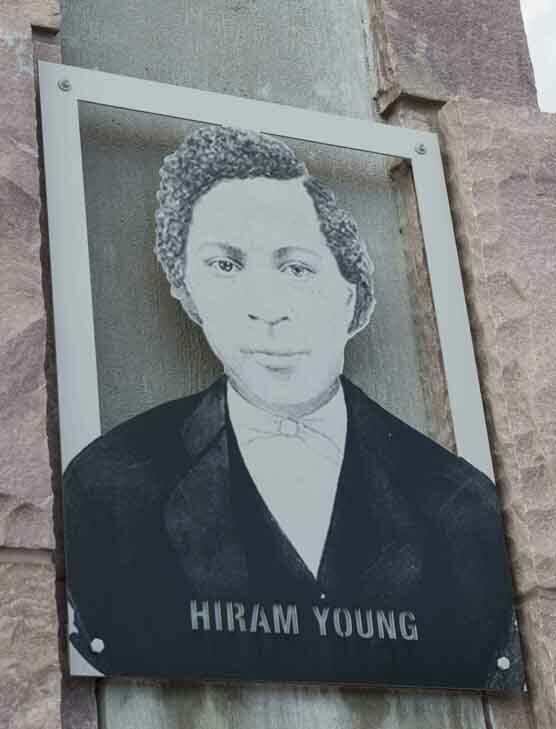 Hiram Young (1812-1882) came to Missouri as a slave. He saved enough money to purchase both his freedom and his wife Matilda’s freedom. By 1850, the Young family settled in Independence, where he became known for manufacturing high quality wagons for overland freighters, immigrants, farmers, and the United States Army. 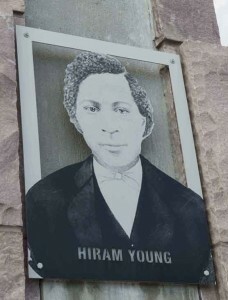 His factory produced about 900 wagons a year and thousands of ox yokes, saddle frames, and ax handles, all branded with “Hiram Young & Company” along with each purchaser’s initials. 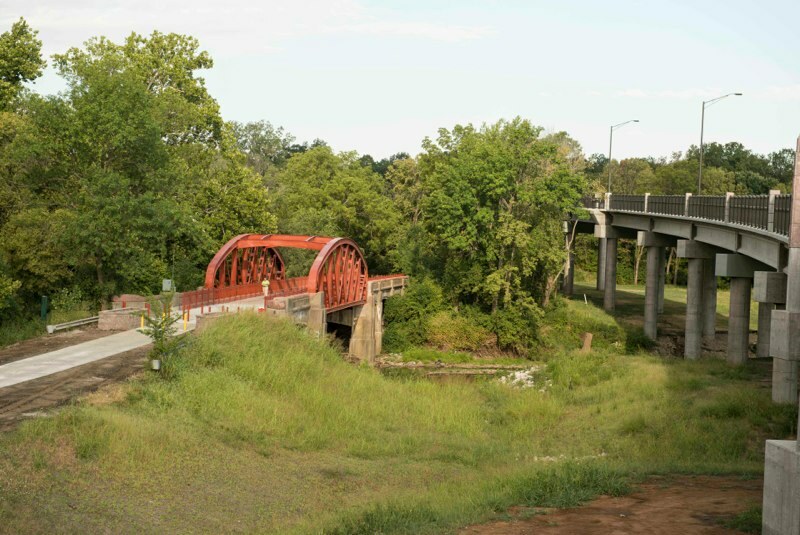 Many of Young’s wagons traversed this road and this Big Blue River crossing in the 1800s. He is buried in Woodlawn Cemetery in Independence. Jim Bridger (1804-1881) was one of the greatest American mountain men and frontier explorers. He was an eighteen-year-old member of William Ashley’s first expedition in 1822 to the upper reaches of the Missouri River. 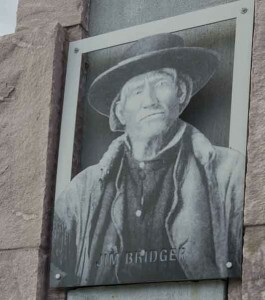 In 1843, he built a trading post along the Green River in southwest Wyoming on the Oregon-California Trail named Fort Bridger. Eventually he returned to his farm home near 103rd and State Line Road, dying there in 1881. He is buried in Mount Washington Cemetery in Independence. 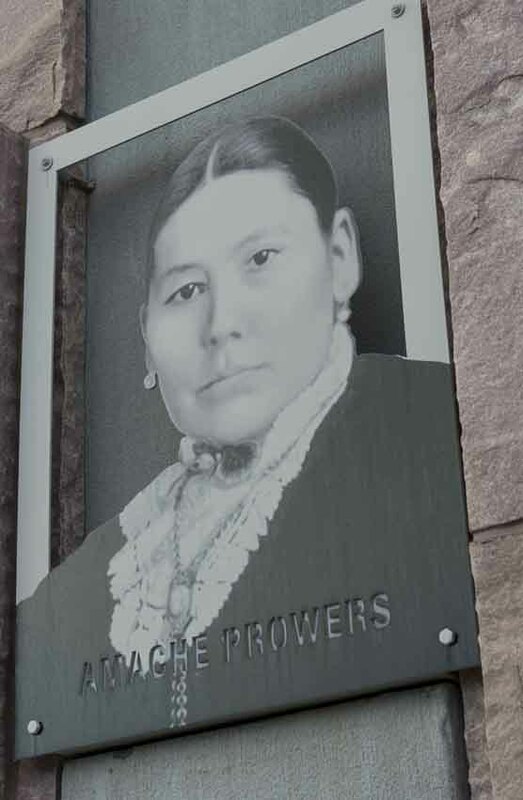 Amache Ochinee Prowers (ca. 1846-1905) was born near Bent’s Fort, the daughter of a Cheyenne chief named Ochinee. In 1861, as a teenage girl, she married John Prowers, a trader with Bent, St. Vrain & Co. For a time, Amache and her husband lived in Westport and they eventually had nine children. 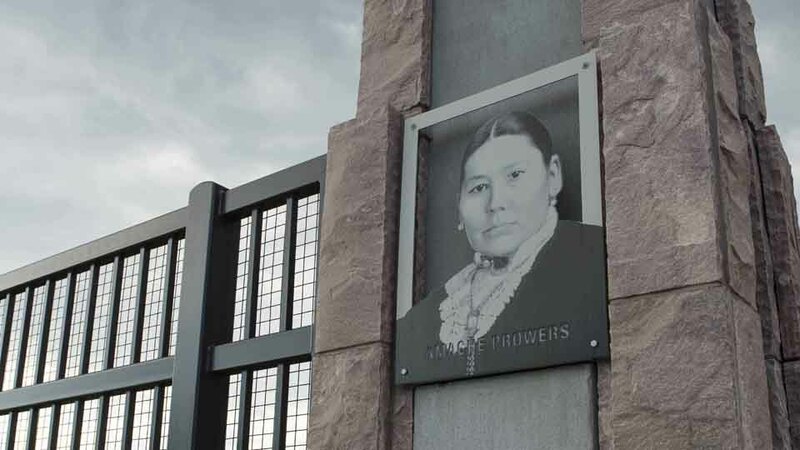 After Amache’s father and other relatives were killed at the 1864 Sand Creek Massacre in southeastern Colorado, the federal government gave Amache a 640 acre tract of land along the Arkansas River. Her husband operated a trading post in Boggsville, Colorado, supplying travelers along the Santa Fe Trail. 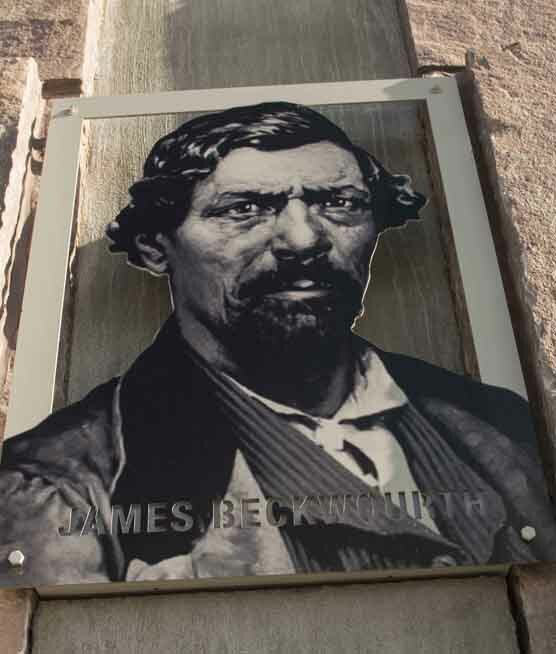 James P. Beckwourth (1798-1866) was born in Virginia in 1798 to a slave mother and a white father. His father brought James as a child to Missouri, and soon released him from slavery. Beckwourth, on the first of his several trips from Missouri to the West, joined William Ashley’s 1823 fur trapping expedition up the Missouri River. By 1848 Beckwourth was in California at the start of the Gold Rush. He improved an existing Native American path, later named the Beckwourth Trail, and used it to lead the first intact wagon train into California during the Gold Rush. In later life, Beckwourth returned to the trapping that he had learned so well in the Rocky Mountains, dying in 1866. Waddell was born. He built the Majors House at 83rd and State Line Road that still stands. The firm’s 1860-61 Pony Express operation led to bankruptcy. Majors returned to the life of a small independent freighter. 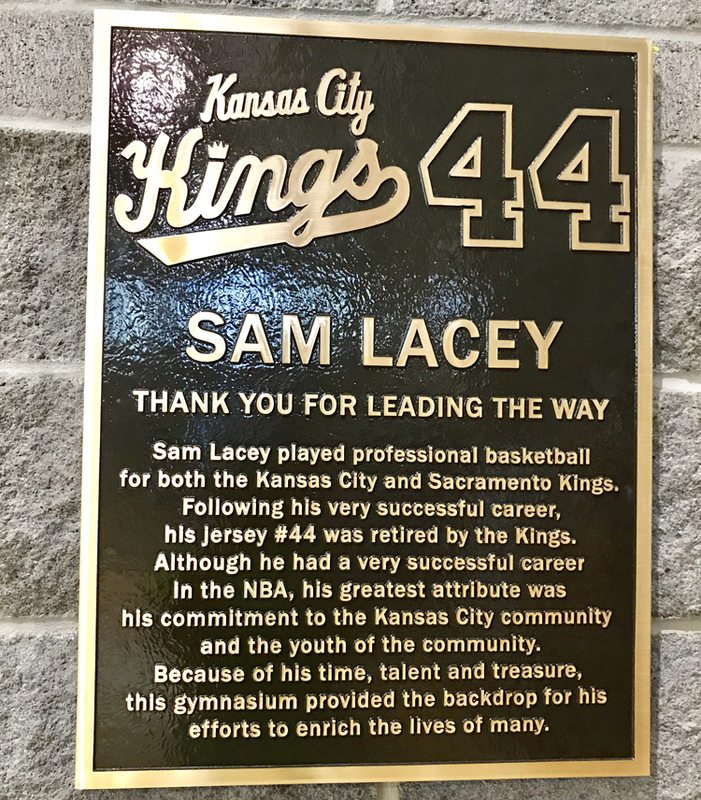 He died in Chicago and is buried in Kansas City’s Union Cemetery. Legendary frontiersman Christopher H. “Kit” Carson (1809-1868) was a mountain man, trapper, scout, Indian agent, explorer, and guide. 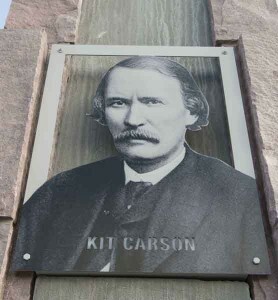 Some of Carson’s greatest adventures took place on the Santa Fe Trail, including his initiation into the Santa Fe trade at the young age of sixteen. Carson guided John Fremont “The Pathfinder” on several of his famous expeditions into the West. During the war with Mexico, 1846-1848, he was a US government courier and scout. After his death and burial in Colorado in 1868, his remains were moved to Taos, New Mexico.